Discussion in 'Gran Turismo Sport' started by GTPNewsWire, Jul 23, 2018. This article was published by Jordan Greer (@Jordan) on July 23rd, 2018 in the Gran Turismo Sport category. KONTRAone, FPV MIC and super_gt like this. My T150 does the job just fine. That price is a steal. Sander 001, TheGeologist and PirovacBoy like this. 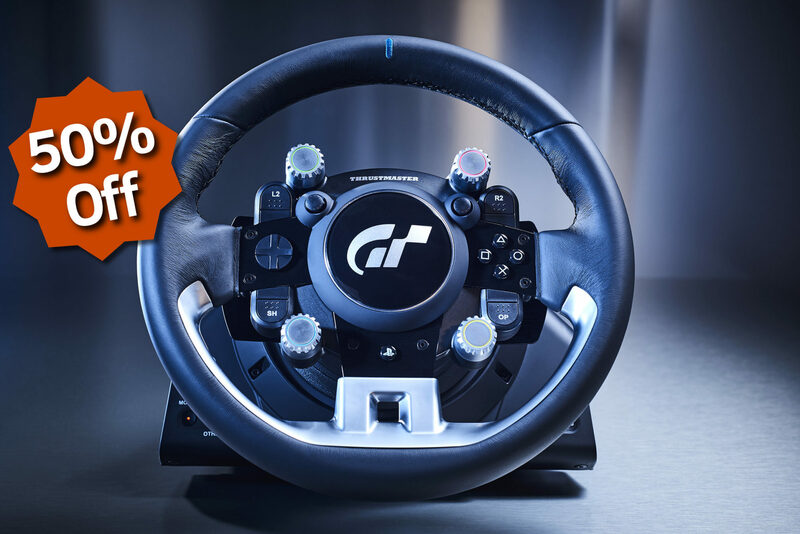 Well, looks like I'll be getting my first ever sim wheel. I've been looking at the T150 Pro for a while now, and this seems as good a time as any to jump on it. Will have to wait a bit for the shifter, though, but even just the wheel will be a whole new experience, and having the 3 pedal set ready for the shifter is nice. HarlemG27 and Jordan like this. Neither of them on the Brazilian site, lol, here, the t150 in retail stores is sold for R$ 1500,00 reais ($396,00 US dollars) and the T-GT, well, forget it..
$249 would be about right! You obviously know very little about the T-GT then . fastone371, Fashiondevil, Just The Stig and 2 others like this. I swear they always do these sales at the worst times for me..
fastone371 and DinaMuS like this. Great deal! I got mine for € 600,- at the time. After only playing on controller and looking for a deal on a wheel, finally pulled the trigger on this deal for the T-GT. Looking forward to playing with this.